The signature fall concert series returns for its fifth year and with an exciting transition… Downtown Beats & Eats has moved to the Vollis Simpson Whirligig Park! FREE entry . Alternating Saturdays, 2:00 pm to 6:00 pm. September 8 – October 20. Wrist bands needed only with beer/wine purchase; $1/wristband. Bring a chair and/or blanket. No outside food or beverages please. 217 Brew Works | Bill’s Grill | Chesson Property Management | Downtown Public House | Grapenuts | Great Gardens Nursery & Landscape Co. | JH Wholesale, Inc. | Koster Irrigation, Inc. | Imagination Station Science & History Museum | Spring Arbor of Wilson | Stephenson Millwork | Tate Design Group | Tig’s Courtyard Coffeehouse & Delicatessen | Vaughan’s Jewelers Inc. | Wilson Community College | Womble Hardware/ PL Woodard & Co. | Womble Real Estate Co.
With roots in Wilson and Rocky Mount NC, the band Matty Begs officially began in the Spring of 2012. 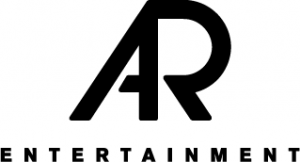 Known for their high-energy live shows, catch their acoustic-electric party rock at the best clubs, colleges, and beaches the East Coast has to offer. Matty Begs writes original material that draws heavily upon the bands’ influences. Catchy lyrics and sing-along, party-anthem choruses inspired by the likes of the Dave Mathews’ Band, Jason Mraz, Jack Johnson, Counting Crows and Sublime leave the listener feeling good and wanting more. Live, the band also covers a wide variety of songs, new and old, and infuses them with their own funky upbeat style to encourage the audience to have fun, sing along, and dance. Matty Begs released their newest EP “Wait For It” in May 2018. Twin brothers Eric and Kyle Travers have been making music and stunning audiences since they first began performing together at 13 years old. 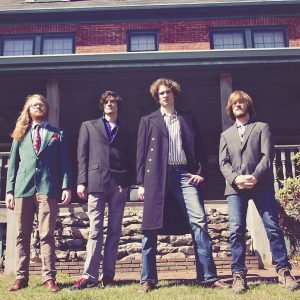 In 2012 the twin brothers formed their latest project, Travers Brothership, an Alternative, Soul, and Funk ensemble based out of Asheville, NC. It is safe to say The Brothership stands out amongst most acts climbing the charts in the U.S. today. Why do they stand out so boldly amongst the others? They care to make each concert a unique and unforgettable experience. Utilizing the band’s unmatched live energy and superior songwriting, they create a live atmosphere that transforms an audience into a community. A Travers Brothership concert is best described as a wild block party, and this is a party you don’t wanna miss. Following the success of the “I Don’t Mind EP” the band began touring nationally in 2013 and has since performed 400+ concerts across the United States. 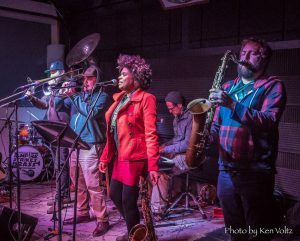 The band has shared the stage with many accomplished acts such as: Charles Bradley, Taj Mahal, String Cheese Incident, Blues Traveler, The Marcus King Band, Robert Randolph, Leftover Salmon, Trombone Shorty, Rebirth Brass Band, Dr. John, and many more. Over the course of two national tours the band began work with Grammy award winning producer, Juan “Pericles” Covaz, and Grammy nominated engineer, Matt Williams. Following recording sessions at Full Sail University in Winter Park, FL and The Eagle Room in Asheville, NC the band’s first album “A Way To Survive” was complete. “A Way To Survive” was released in 2016 to critical acclaim and outstanding reviews. The album has won numerous awards including “Best Studio Album of 2016” at Homegrown Music Network, and has received airplay on radio stations throughout the U.S. and beyond. Following the success of their first record, the band was voted “Best Alternative Band of 2016” by the readers of Asheville’s Mountain Xpress, confirming the bands status as a staple of the Southeast music scene. Travers Brothership is currently touring the U.S. in support of “A Way To Survive” and writing songs for their highly anticipated sophomore release. Featuring rich group and strong lead vocals including Grammy Award winner Debrissa McKinney (Secret Agent 23 Skidoo), ESB not only takes its audiences on a ride to the dark side and back instrumentally, they also use the force of soaring melody and lush harmony to transport the listeners to another dimension. The band released its debut album, “Theme For A Celebration” in 2017 and it was tapped as one of the top 100 album releases in 2017 by WNCW 88.7 radio. Since their conception, ESB has been a consistent fixture at various festivals throughout the east coast. They’ve had the pleasure of having Warren Haynes (Allman Bros. Band and Gov’t Mule) sit in with them at New Mountain Amphitheater in Asheville, NC and the honor of headlining four years in a row celebrating the life of Dizzy Gillespie in his hometown of Cheraw, SC, for the South Carolina Jazz and Heritage Festival. ESB has co-billed with such artists as Dr. John & Lettuce. The horns have sat in on performances with Galactic, The Big Something, and many others. ESB horn players JP Furnas, Paul Juhl and Alex Bradley are also featured on the live album compilation from world-renowned artists Beats Antique entitled “Creature Carnival” released in 2015. The band is known to regularly parade off stage into the audience leading a the crowd in a raucous procession around the venue before, during or after their set. Members of the band have also been expanding their musical resumes and repertoire. Notable side projects and performances include keyboardist Lenny Pettinelli’s recording and performing with Jazz is Phish featuring such artists as Jeff Coffin (Bela Fleck, Dave Matthews Band), Chris Bullock (Snarky Puppy), Michael Ray (Sun Ra, Kool and the Gang), the Chase Brothers and many more. The band’s founder, saxophonist Paul Juhl, performed with John Oates (Hall and Oates) at MerleFest. In addition to her work with Skidoo, Debrissa McKinney has performed with artists such as Karl Denson and George Clinton. 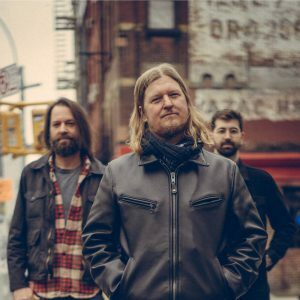 ESB horn players Kyle Snuffer and Alex Bradley have recorded on Marcus King’s upcoming 2018 release produced by Eric Krasno of Soulive and Lettuce. Later this year, the band is slated to get back in the studio for a follow up sophomore effort to 2017’s Theme For A Celebration. Look for the band on the road and at festivals in a town near you! 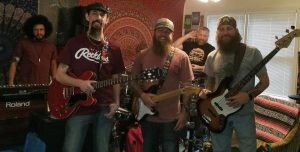 Drummer David Daniels invited local bass guru Dale Bryce and guitarist Steven Stewart over to his house to jam a while back and the three had a lot of fun. In fact, the boys had so much fun that it became apparent almost immediately that they should not only get together for future jam sessions, but that they should form a band and take the fun they have playing with one another to the stage. Before they even played a single gig, the word got out that these three musicians were playing together. Friends and other musicians started dropping by to jam with the band during their practices. A very open, fun, community atmosphere emerged and TripleWide continues to embrace this mindset, frequently inviting their friends to come sit in with the band during their shows. This spontaneous, energetic, collaborative approach to making music keeps the musicians and audience on their toes and every show recreates the fun of the band’s initial jam sessions. Come check out our net show and see what all the cool kids are talking about. Balter Brothers are a high-energy jam band, tingling the senses of your soul to get on up and get down! Signal Fire is a group of diverse musicians with a common goal, to spread unity through music. Hailing from the coastal town of Wilmington, North Carolina Signal Fire brings a unique blend of reggae/rock music for the masses. Since their inception in 2013, they have consistently played over 150 shows a year sharing the stage with acts such as Stephen Marley, Morgan Heritage, UB40, Tribal Seeds, Collie Buddz, Dirty Heads, Jesse Royal, The Movement & more. 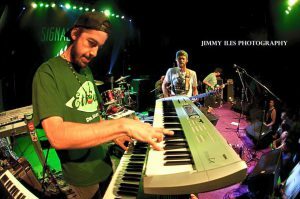 Signal Fire released their debut album “Ignite” in September of 2013 which reached #8 on the iTunes US reggae charts. 2017 has been a busy year for Signal Fire, completing a support tour with Jamaican artist Jesse Royal and finishing their sophomore album “Lift Up”. Mixed and co produced by the Llamar “Riff Raff” Brown (whose credits include Stephen and Damian Marley, Raging Fyah, Richie Spice, and 2016 Grammy Award winners Morgan Heritage), “Lift Up” is a step forward in the evolution of the Signal Fire reggae/rock sound. As an independent release, Lift Up debuted at #1 on the iTunes reggae charts, and #8 on the Billboard reggae charts. Through years of grass roots approach, Signal Fire has built a loyal following with their uplifting music and message. 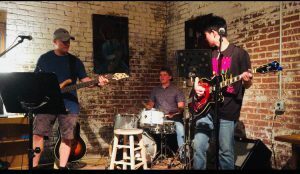 Plywood Smile is an emerging rock band on the Wilson, NC scene. Guitarist/vocalist Noah Buck and percussionist Jack Fernandez perform a mix of covers and originals that have been influenced by everything from the music of the ‘60s to the modern sounds of The Black Keys, Jack White, and Jason Mraz. The recent addition of bassist Keith Watson helps round out their sound. Music fans are familiar with Humphreys from his years leading North Carolina faves Dillon Fence and Hobex. 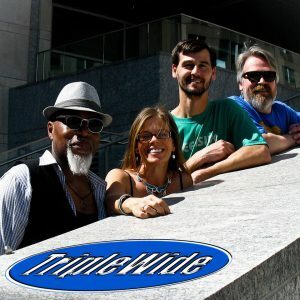 With songs influenced by the best in pop, funk, soul, R&B, and rock n’ roll, you might find Greg Humphreys Electric Trio in the same soul-centric corner of the big Americana tent where you’d find Alabama Shakes or Lake Street Dive. The Electric Trio formed in New York City in 2014 when Greg took to local stages with fellow seasoned southern transplants– drummer Keith Robinson and bassist Matt Brandau. The band is putting the finishing touches on a second studio album, scheduled for release in the fall of 2018. The new album will focus on the ‘70s-influenced funk & soul songs that characterize the band’s rousing live shows, which often stretch late into the night–or early into the next morning–and devolve into sweaty dance parties.